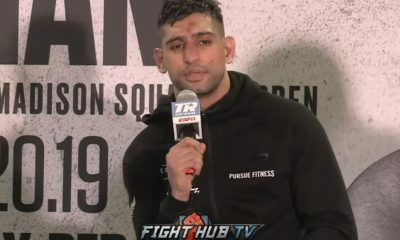 Born to parents of Pakistani origin in Bolton, England, just near Manchester, Amir Khan exhibited a love for a wide range of sports, from cricket and basketball to football (soccer). He also became involved in boxing at an early age. His father introduced him to a gym at the ripe age of eight, and it would not take him long to begin taking it relatively seriously. By 11 years of age, he had begun to compete at school and on the junior circuit. 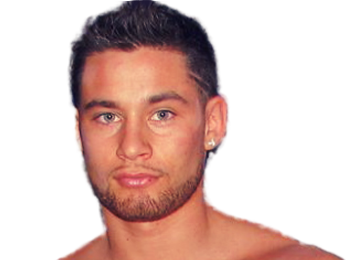 Although it was still early days, he quickly made his mark first at the Bolton Boxing Club and later at the Bury Boxing Club. This time spent under coach Mick Jelly would set a foundation for his wins as a schoolboy and three junior ABA championships. Gold medals in both the 2003 Junior Olympics and the European Student Championships soon followed–and all this by the tender age of 16. 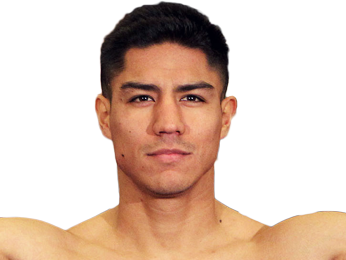 Despite adding a few more significant wins at the junior level, the fighter already had bigger goals in sight. It was the 2004 Olympic Games in Athens that had captured his imagination as the capstone of a successful amateur career. The first obstacle, though, was to perform as well as possible in the qualifiers in Bulgaria. He placed first and went on to represent Britain in the 2004 games. The gold medal remained just out of his grasp, leaving him with a silver medal after a loss to Mario Kindelan in the final round. The young fighter got the chance to make this up to himself shortly thereafter by winning a three-round decision against Kindelan. 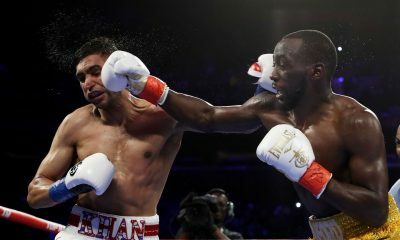 But, again, Khan had bigger challenges on his mind at this point—with an amateur record of 101-9, he geared up for his professional debut. Early on, fellow fighters and fans alike watched in awe as “King Khan” demonstrated amazing hand speed. Keeping out of opponents’ range, this up-and-comer, known to be a fast starter, would often overwhelm and weaken opponents with staggering combinations to both the head and the body. In due time, fighters like Zab Judah, Paulie Malinaggi, Marcos Maidana, and Dmitry Salita would learn this all too well. While these strengths swept Amir to several wins in the lightweight division, Breidis Prescott seemed to have his number. Prescott defeated the “King” in 55 seconds with a clean jab followed by a combination of hooks. 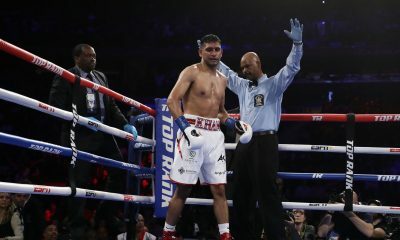 A number of commentators lamented Amir’s lack of a convincing answer to Prescott’s left hook and subsequent combinations. Undeterred by this defeat (and criticisms that he had a weak chin), Amir turned to trainer Freddie Roach and went on to win the WBA International lightweight title after Oisin Fagan’s corner threw in the towel after just two rounds. This made Amir one of the youngest British boxers to win a championship belt. It is unclear whether or not sparring with Manny Pacquiao during this time made a difference, but it most likely did not hurt. After a win by a technical decision over Marco Antonio Barrera due to a cut, Amir retained the WBA belt and picked up the WBO Intercontinental lightweight title. 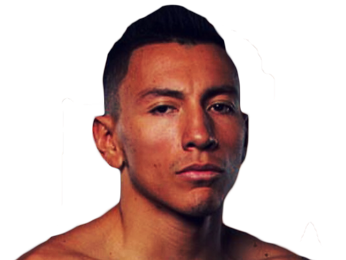 Effectively at the top of the lightweight division, the “King” decided to make the move to light welterweight. Within the year, the previously dominant lightweight would dispatch with Andreas Kotelnik by decision for the title, and Dmitry Salita by TKO in only 76 seconds. 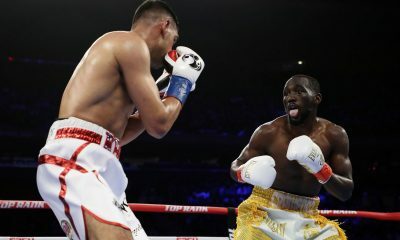 Next, Amir effectively slogged through much longer battles with Malignaggi and Maidana, which the fighters saw through to the 11th and 12th rounds, respectively. The press went wild over the Maidana bout, which was declared the fight of the year, and the Brit received plaudits for his show of heart in the fight. The champion continued this show of heart throughout his next few fights, but even heart has its limits. 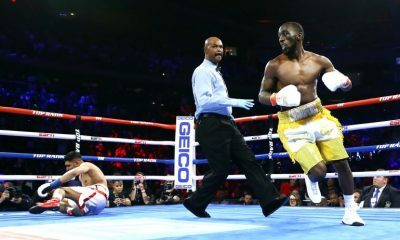 Lamont Peterson was able to cut the distance and deliver significant blows to Amir, highlighting previous criticisms that Amir could not handle himself inside the pocket. 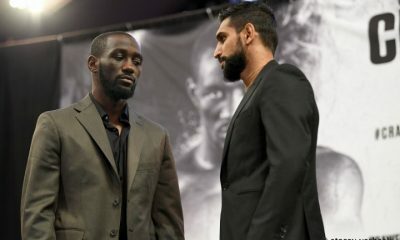 Peterson won by split decision, even though many cast doubt on the two-point deduction for pushing levied against Khan. 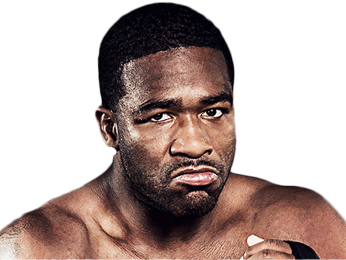 Peterson later tested positive for PEDs, meaning the title reverted back to Amir. 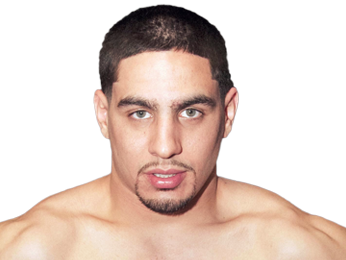 But, Danny Garcia stopped this streak through the lightweight division with a TKO. Amir soon made amends with a 10th-round TKO of Carlos Molina for the Silver Light welterweight title. 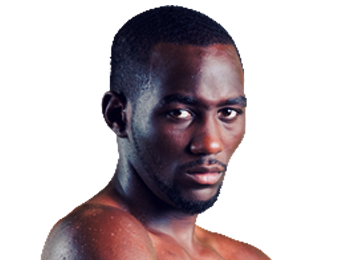 By that time, though, he had already shifted his sights to the welterweight division. 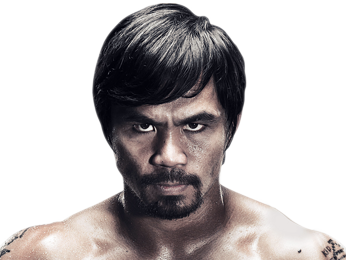 In 2013 and 2014, Amir decided to test himself in the welterweight division. After a win in what was technically a catch-weight bout against Julio Diaz, Amir claimed the WBA International welterweight title, defeating Luis Collazo by unanimous decision. Many considered this a return to the skills that he had used in the memorable performances from earlier in his career. 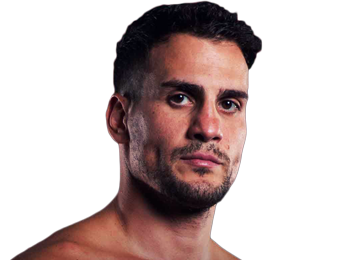 Wins over Devon Alexander and Chris Aligieri led Amir to bulk up and compete in the middleweight division. 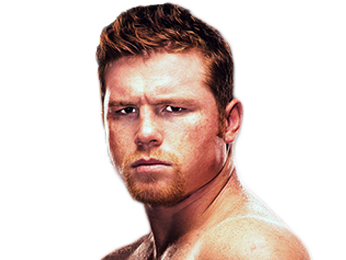 However, Canelo Alvarez, arguably one of the top pound-for-pound fighters in the world, knocked Amir out in the 6th round, shutting down hopes that entrance into the middleweight division would start out with a victory. Throughout his career, Amir has attracted attention due to his often flamboyant lifestyle outside of the ring. 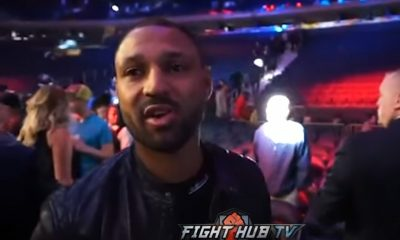 He also does not mind speaking his mind while promoting fights, usually with phrases peppered with colorful language. An occasionally turbulent family life has also captured the attention of the media. His emotional approach to fights can be a double-edged sword; in some fights, this passion translates into energy and focus, but in others it seems to distract him and make him reckless. 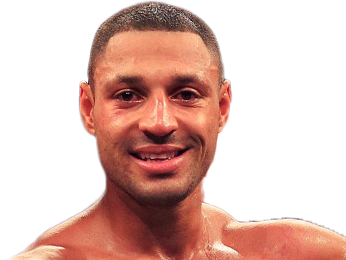 This combination of explosive, fast-paced action in the ring and a larger-than-life persona in the media has turned some people off; others, though, only love him more for his antics. 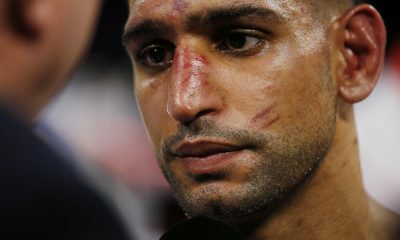 Love him or hate him, Amir Khan has built up a career and a public persona that have captivated the boxing world. 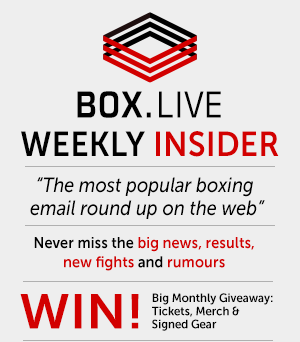 Sorry, no fights sheduled for Amir Khan at the moment, check potential opponents & fights below. Sorry, we couldn’t find any ticket details for Amir Khan at the moment.